This is a variant of a recipe that’s done the rounds of many food blogs. 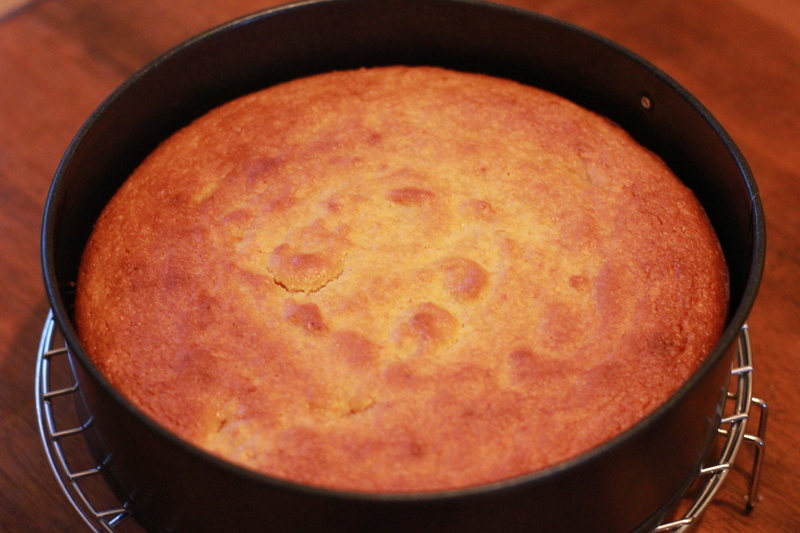 It starts from Claudia Roden’s orange cake in her wonderful Book of Jewish Food. 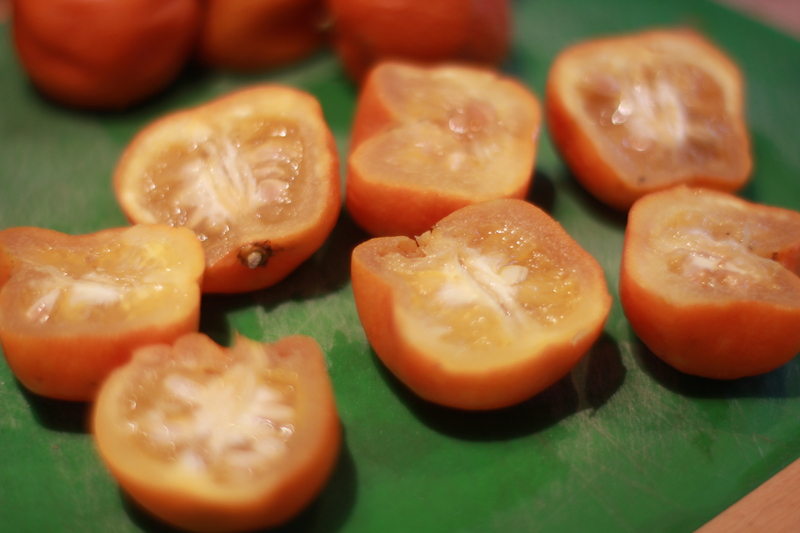 The recipe was popularised by Nigella Lawson, who I think more or less copied it for her clementine cake. It first came to me from multi-talented baking goddess E, who had a healthier version with agave nectar and dark chocolate which I made and enjoyed. The cake is amazingly moist – I dislike any hint of dryness in cake and this one is both deeply moist and surprisingly light. 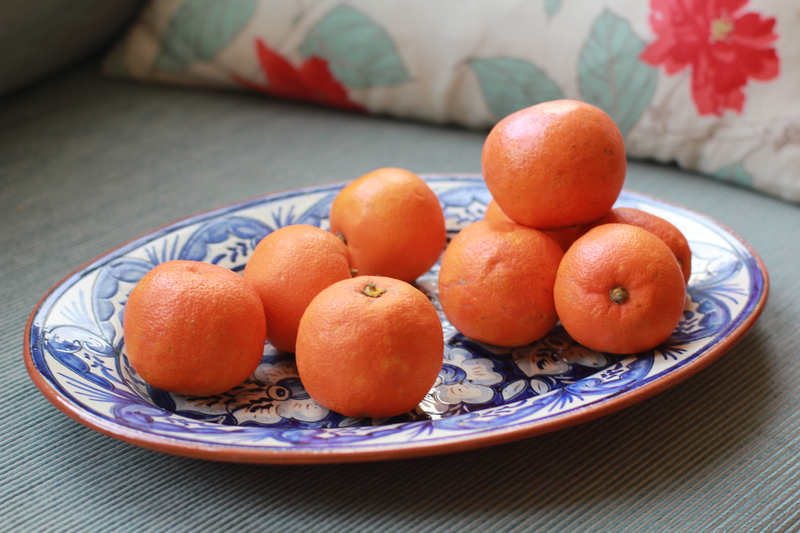 I’d forgotten all about it until last week, when I had a pile of lovely January Seville oranges and was trawling for ideas of what to do with them. It struck me that perhaps the orange/clementine cake might be adaptable, and the idea of a slightly less sweet orange cake appealed. I love the sweet/bitter flavour of Seville orange marmalade and it seemed eminently suitable to this unusual cake. The magic of this recipe is that you boil the oranges till they’re soft and then blend them whole, peel and all. 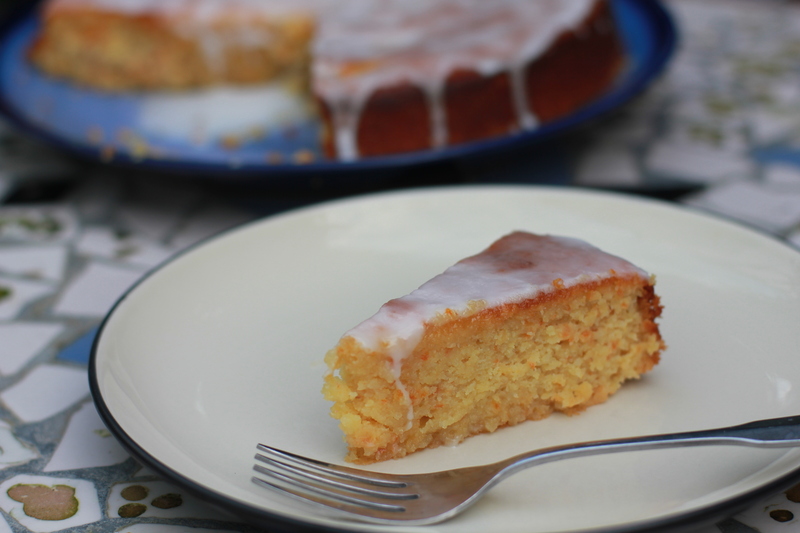 Since the whole entire point of Seville marmalade is the peel, this wonderful moist cake seemed like the perfect vehicle for the flavours of the oranges. 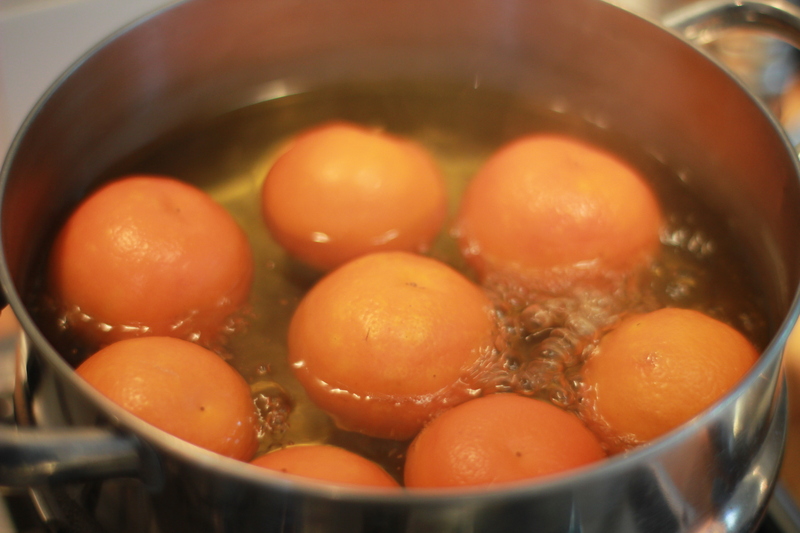 First, put the oranges in a big pot, cover well with water, and bring to the boil. Simmer for two hours, refilling the water as necessary. Dump the oranges into a food processor and blend till smoothish. You don’t want any overly big lumps of peel in your cake. In a bowl, beat the eggs and add almonds, sugar and baking powder. Give a good stir and then pour into the processor with the oranges. 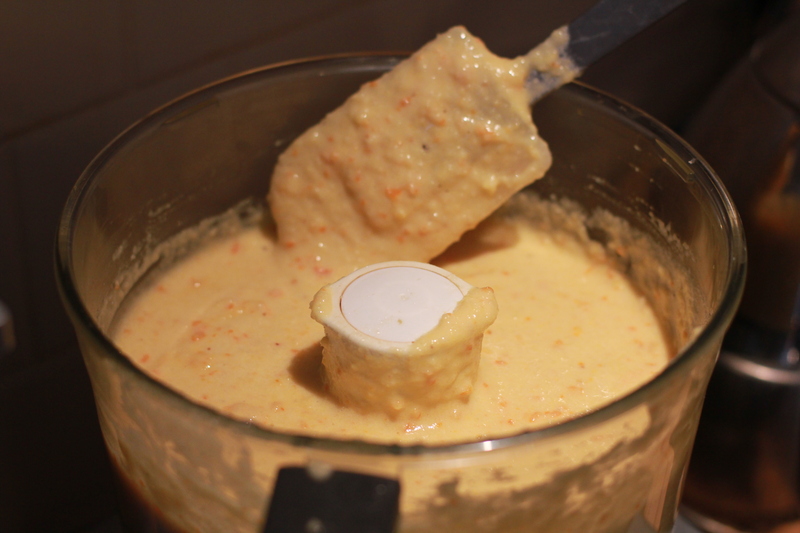 Blend till you have a smooth batter. Butter a 9″ springform cake pan and line with parchment on the bottom. Pour in the batter and heat the oven to gas mark 5 / 190 C / 375 F. Now, Nigella says to cook for 50-60 minutes, but various bloggers including Smitten Kitchen say that it cooks much faster than that. I didn’t find that it did – mine took the whole 50 minutes, but I think my oven runs a bit cool. It’s probably worth checking after a half hour. 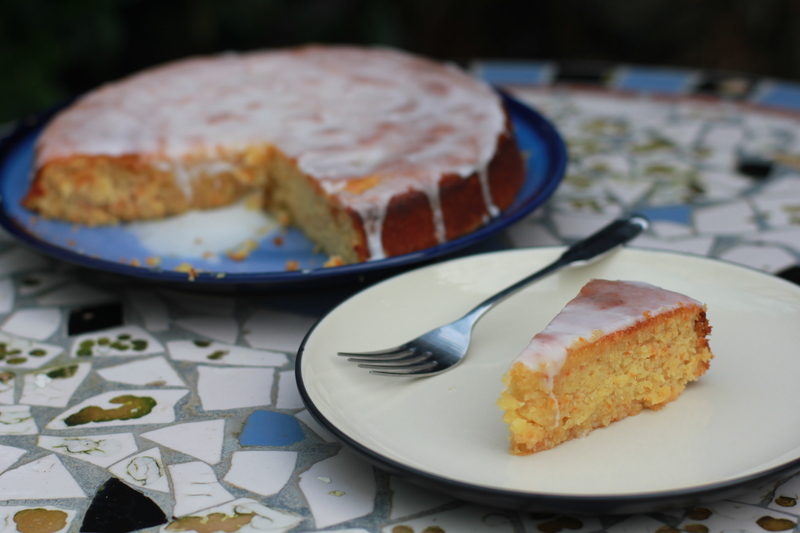 Adapted from Claudia Roden’s Orange Cake and Nigella Lawson’s Clementine Cake recipes. I hate that you live far away. This looks amazing. AMAZING. My keyboard is officially drowning in my drool. Just found your blog while researching recipes using Seville Oranges. This cake looks delicious! Yummy. Thanks Darya. Your blog is absolutely beautiful – lovely photography!